"Your Damned Photographs will be the death of me"
"The photographic record of James Joyce published here was made in five sessions during the month of May, 1938. Joyce was very patient, co-operative, and extremely eager to get good results. When the photographs were ready, he seemed delighted with them, and asked me to destroy only five or six. I had more than a hundred from which to select the dozen or so I distributed to the press. Everyone wanted the latest photographs of Joyce, and soon I was able to inform him that we could count on world-wide use of my story." – Freund, "On Photographing Joyce." Freund gained unparalleled access to Joyce's private life. 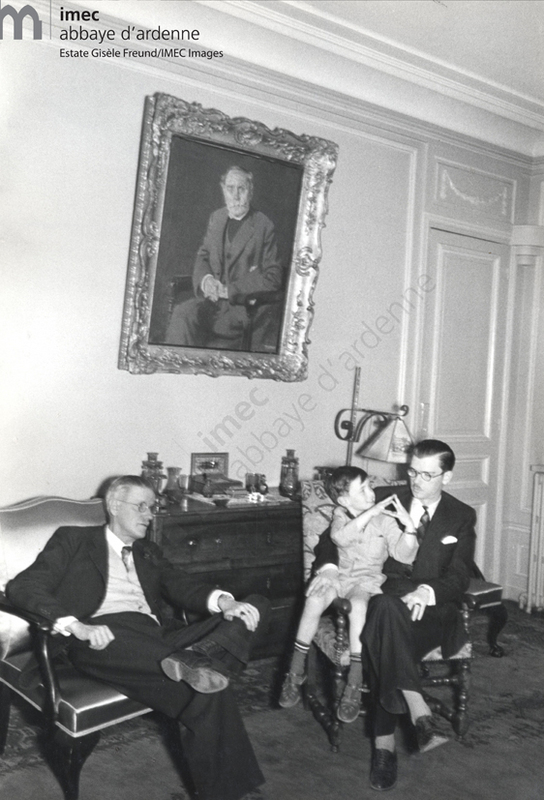 These are some of the only photographs of Joyce with his family. 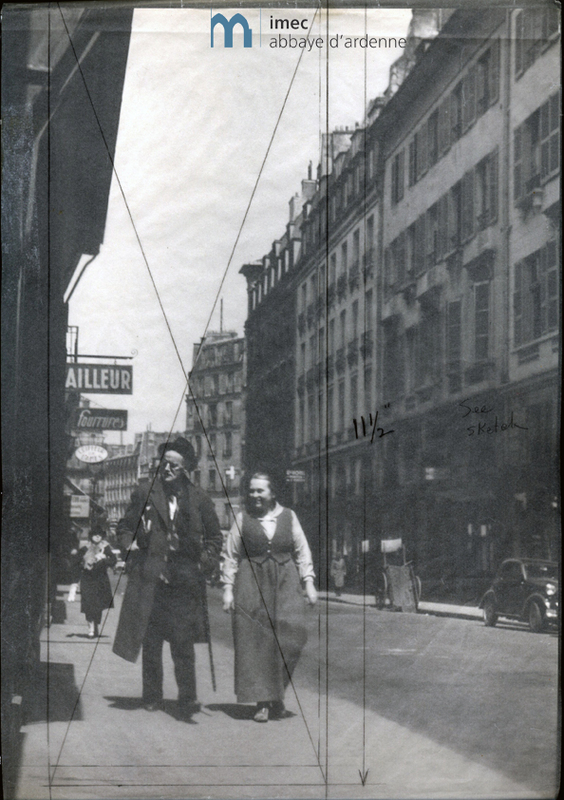 James Joyce and Adrienne Monnier in rue de l'Odéon. Joyce and Freund planned their day of shooting together--Joyce had an idea of what he wanted to convey. 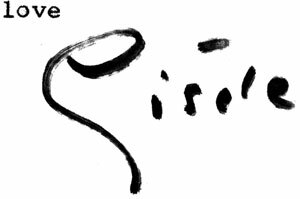 "We sat down at the table and mapped out a sequence for a photo-story, James Joyce in Paris. Joyce had very definite ideas about the way he wanted to be presented to the world press on this important occasion. 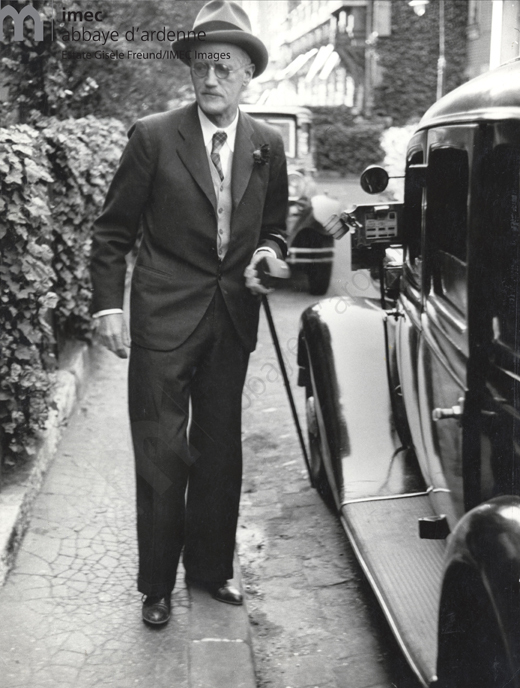 Finnegans Wake was to be the center of interest." 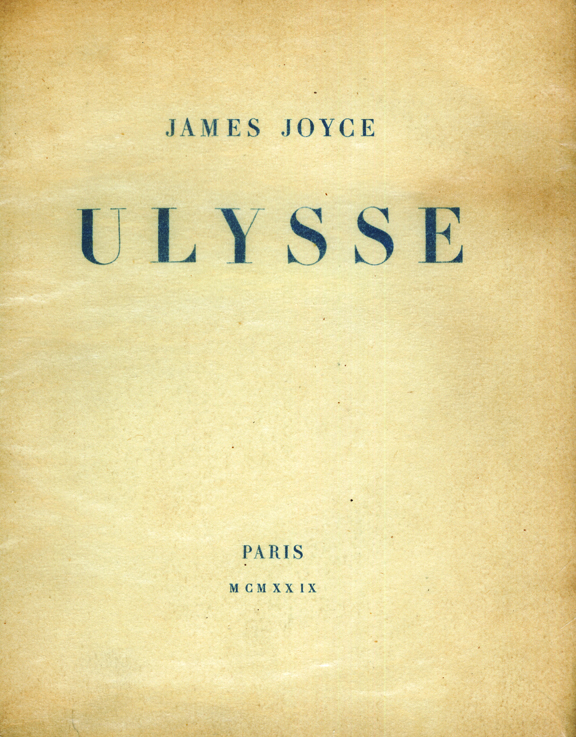 In 1929, Adrienne Monnier released the French edition of Ulysses. The University of Victoria holds a first edition copy of this printing. 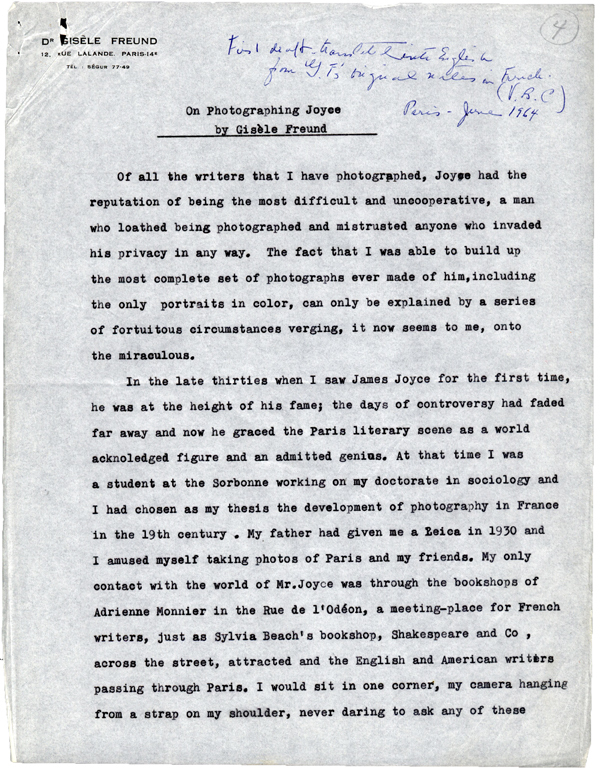 Freund captures Joyce going about his daily life in Paris, including walking down the street. The University of Victoria holds Freund's personal copy of "On Photographing Joyce." This version is more detailed about the three days they spent together. 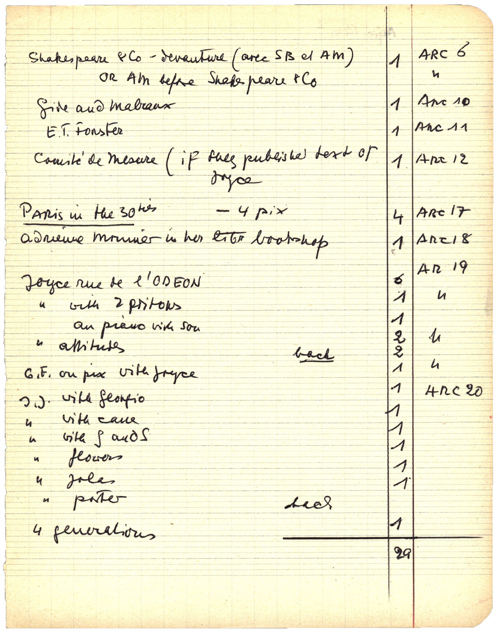 The University of Victoria has all of Freund's notes pertaining to the publication of James Joyce in Paris, including drafts on how she wanted to arrange the photographs.